and find new ways to work together. Helps you connect the team members improve each other’s productivity, and find new ways to work together. Using Workplace just like using Facebook, creating a new working environment which can connect closely with the whole organization, allowing employees to share ideas and explore more effective and innovative ways of working together. Groups help you make decisions and keep your team on the same page. The News Feed surfaces relevant content to each person. 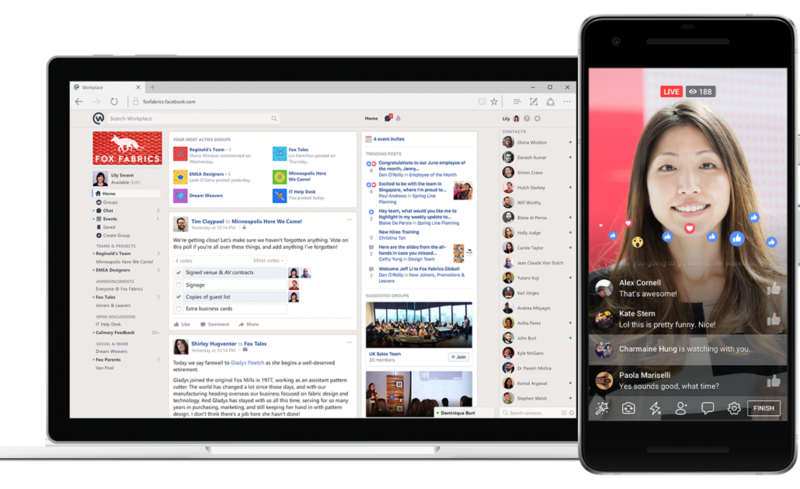 Reach colleagues instantly with messaging and voice/video calls. Keep in touch with the team anytime, anywhere through Workplace and Workplace Chat App. Start live video with the team or the entire organization.